I like coffee, but these says I drink it (maybe) once a month. Which is something a lot of people find shocking. Back in college I was working two jobs (I was a Trainer at Panera Bread and a graphic designer at a print shop), all while juggling a full course load and running a school club with field trips, bake sales, events...etc. and I was keeping up with my etsy shop. I was sleeping maybe two hours a night, and I was chugging a 32oz soda-sized iced espresso after every Panera Bread shift to keep myself going. (My go-to-espresso drink of choice was 4-shots of espresso and two pumps of caramel, over ice, with skim milk and occasionally whipped cream. If the coffee wasn't enough to keep me going, the sugar picked up all the slack.) I was a walking zombie, but I got so much done! Eventually my under eye circles got so bad that the make-up-counter-ladies suggested an industrial concealer, which was pretty much beige-colored Spackle. Thankfully I moved on and didn't need to keep pushing myself quite so hard, and when I did, me and coffee/espresso had a bit of a falling out. I don't rely on it to get me through the work week like a lot of my friends do, instead I treat it kind of like medicine. If I am drinking it, it's usually to get me through an especially tiring day, so I don't buy it very often, but when I do, it has to have adorable packaging. Looking at the sides of this little latte, the packaging doesn't look like anything special. It's just a plastic cup, right? 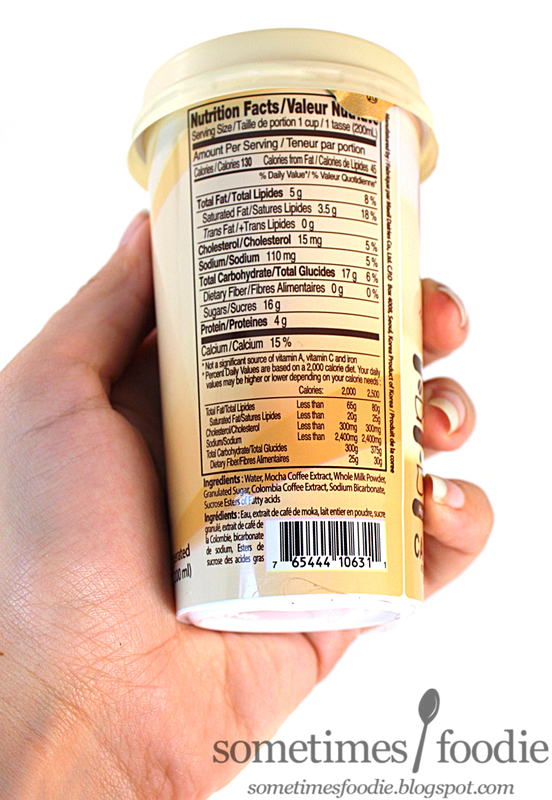 It has all the necessary nutritional information, a creamy coffee-tones background, and a cute coffee cup with some latte art featured on the front. It's functional, and it comes with a cute little red straw, but it's nothing special. That is, until you look at the foil on the top. 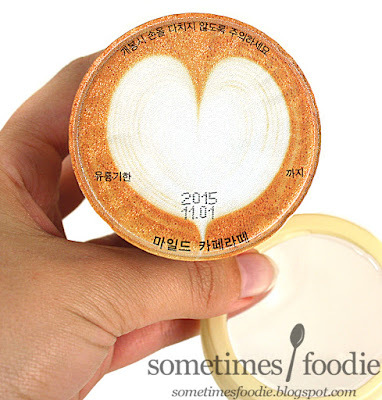 It looks like a latte heart! Just like the one featured on the front of the package! How freaking adorable is that? The included plastic lid is clear, with a little hole to poke the straw through, so when you're sipping on this it looks like you're actually sipping on a fancy latte from a café! It's freaking precious! There are other flavored drinks in this line and each one has their own design printed on the lid, which is a very simple, but whimsical touch that totally won me over as far as packaging is concerned. Let's see if the beverage inside is just as fun. 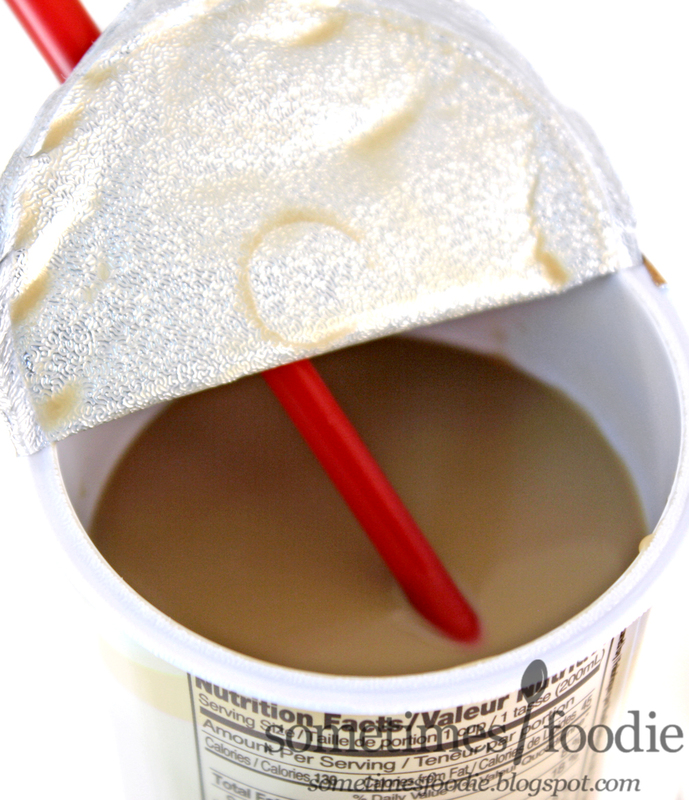 Although it pained me to do so, I peeled the lid back to see what the beverage actually looked like. It was just as I expected, it's a creamy coffee-color, and it smells like espresso, milk and sugar. Just like all those bottled Starbucks drinks you can buy at any grocery store. I took a sip, and this latte definitely lived up to it's name. It was sweet, creamy, and mild. Pretty much, this tastes exactly like you think it will. 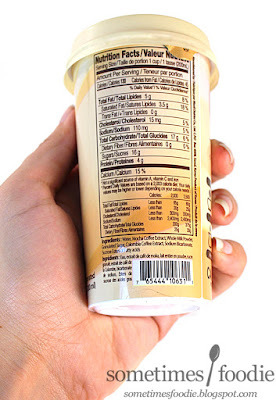 It's just like those bottled Starbucks drinks, but with less sugar. This has a decent amount of coffee flavoring to counteract all the milky sweetness, and I really liked it a lot! Plus, I found that this mild latte didn't give me any acidity issues with my stomach, like normal coffee and espresso always does. 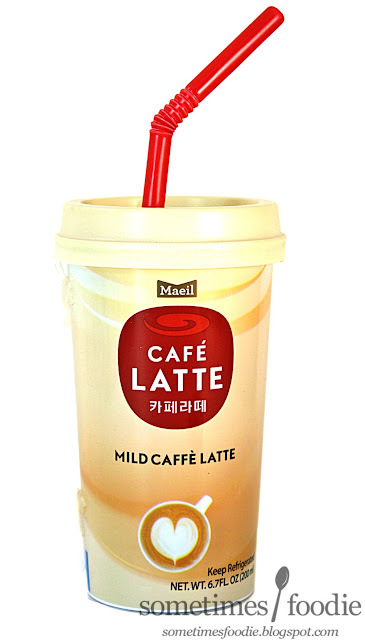 Next trip to H-Mart I am definitely grabbing myself another little latte pick-me-up! If you have some stomach troubles with all the acidity in espresso, but like the taste, I'd highly recommend this little latte. It's sweet, satisfying, and most importantly...freaking adorable! However, if you're a crazy coffee addict, this is going to be way too weak for you. I bet those of you who drink espresso like it's nothing would think this tasted like coffee flavored milk, so coffee addicts and lovers, this isn't the product for you.